A Saskatoon couple has bred a low light lemon tree. They hope that the tree will one day be widely available to Prairie lemon lovers. A Saskatoon couple is trying to bring tropical life to your living room. M.P.M. 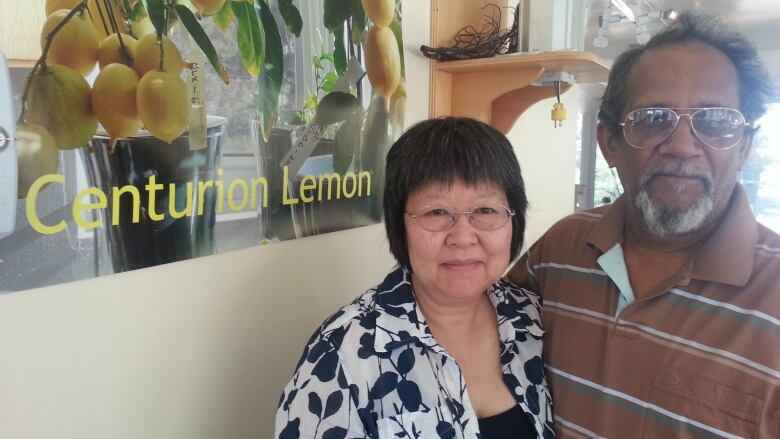 Nair, a retired engineer, and his wife, Karen Tanino, a plant physiologist at the University of Saskatchewan, have been breeding special lemon trees that thrive indoors in Prairie light. One of M.P.M Nair's low-light windowsill-grown lemons. (Leisha Grebinski/CBC)​Nair first started the project more than three decades ago, and now the couple works on it together. "It makes sense, that especially in northern regions where we're heating our homes anyway," Tanino said. "Why not utilize the windowsills to then convert that to food material." The challenge is growing a lemon in low light. Nair says a colleague of his wife's once told him he couldn't do it. "I ended up taking it upon him 16 years later that I fed him lemonade from my tree that I produced in the house." "I've got one of these reputations, that if somebody says you can't do something, that I will make an attempt to do it if I think it's feasible." 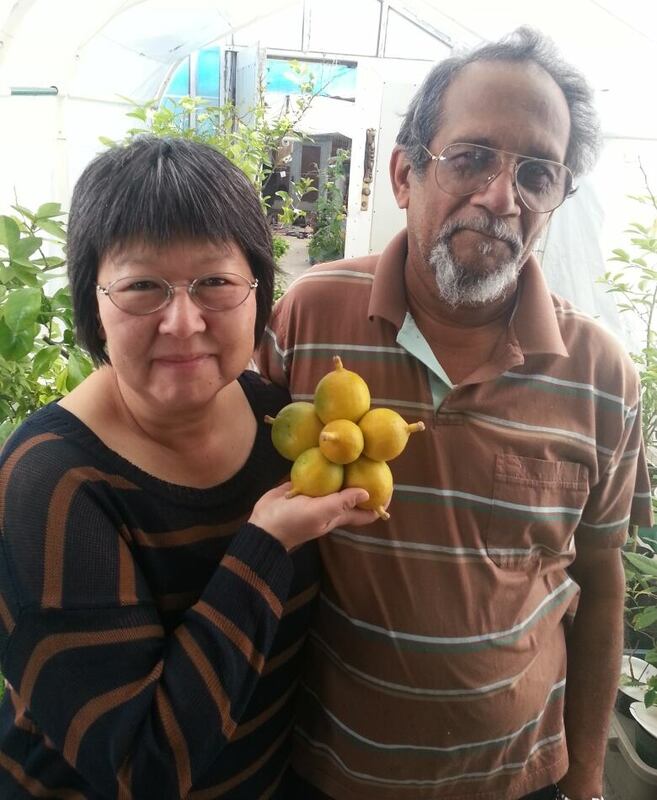 Karen Tanino (left) and M.P.M Nair with a bunch of centurian lemons. 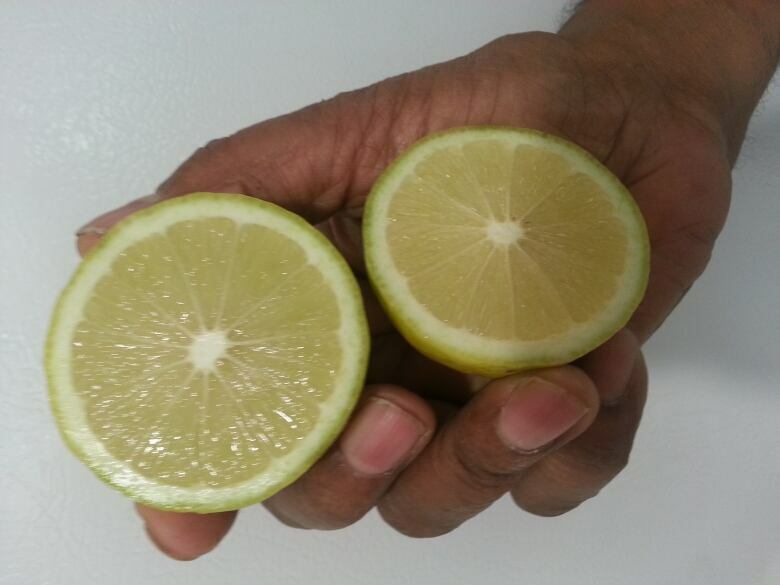 (Leisha Grebinski/CBC)The fruit that Nair finally succeeded in breeding is called the centurion lemon. The fruit looks and smells just like any other lemon, but the plants are small enough they can fit on a windowsill. The fruit grows in clusters, almost like a bouquet of lemons. Nair said the young plant can produce as many as 30 fruits a year. Nair claims it's the first low-light windowsill lemon tree. He and Tanino are currently registering the fruit with the federal government and are also working on a patent. The hope to have these trees available to the public in a couple of years. Tanino said it's a pleasure to watch them grow inside her home. "They look so beautiful on the plant, that I almost hate to pick them."